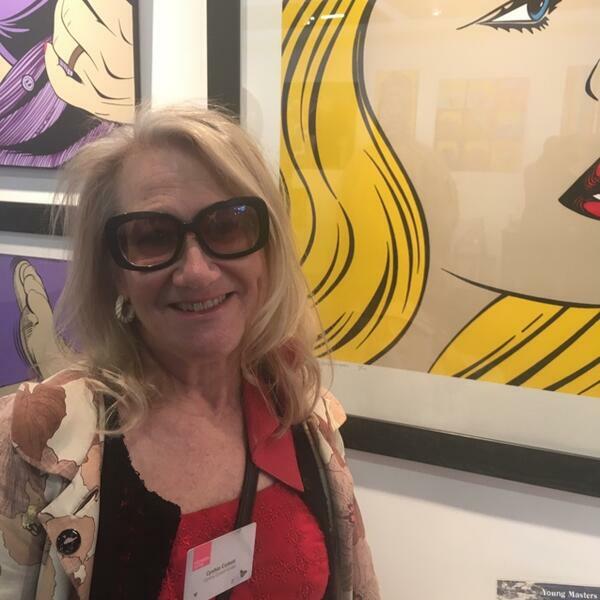 Josephine went down to Battersea Affordable Art Fair to meet up with ex international economist turned art dealer the effervescent Cynthia Corbett. You don't need to be super rich to buy art from the art fair you can find artwork for any level with prices from £50 to £5,000. Cynthia's successful artists create special pieces especially for the fair, a great place to pick up a beautiful investment. Cynthia was frustrated by the lack of opportunity for artists and has now created the Young Masters Art Prize and Young Masters Maylis Grand Ceramics Prize. This international prize is open for artists of any age in any medium, whose works respond to the art of the past. This year there is a chance to enter the Young Masters Emerging WOMAN Art Prize. The good news which Cynthia would like to stress is that there is no age limit for the prize, the artist who won last year was sixty two. Deadline for entries in 31 March 2017.